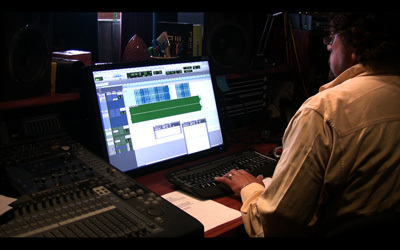 Dateline Feb 27th 2009 Los Angeles, Calif. – Alan Parsons conducted a live recording of a brand new ‘Alan Parsons’ song All Our Yesterdays at Simon Phillips’ Phantom Recordings studio in Los Angeles, calling on pre-eminent LA session musicians all of whom are featured in the program itself. With Simon Phillips on drums and session legend Nathan East on bass, the recording was rounded out by top LA guitarist Tim Pierce and Foo Fighters and Wallflowers keyboard player Rami Jaffee on piano. The track is currently being completed and will be heavily featured in ASSR both in the Recording Techniques and Mixing sections. Plans are still on-going for a separate release of All Our Yesterdays.